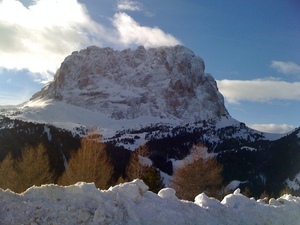 Is it snowing in Val Gardena ?Merci! 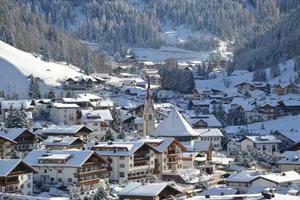 Val Gardena includes the ski areas Selva, Castel-rotto, S.Cristina, Ortisei and Siusi. 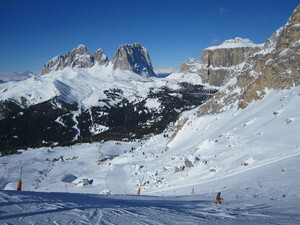 The area is connected with the Dolomiti Superski area and the nearby Alpe di Siusi. There are slopes etc to appeal to all abilities here. 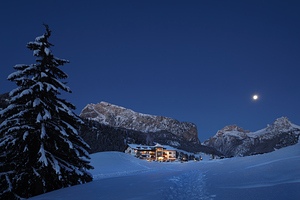 With its connection to Dolomiti Superski, the world's largest ski carousel and the nearby Alpe di Siusi, Val Gardena is the Eldorado for all winter sports lovers. 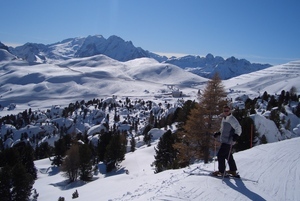 With the Skipass Dolomiti Superski you have access to all lift facilities in the Dolomites with 500km interconnected slopes surrounding the Sella Group and a total of 1.220 km slopes in 12 zones. 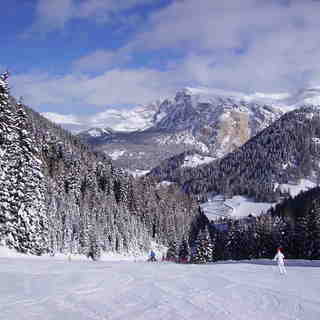 Low and steep pistes, easy and extreme downhill runs. 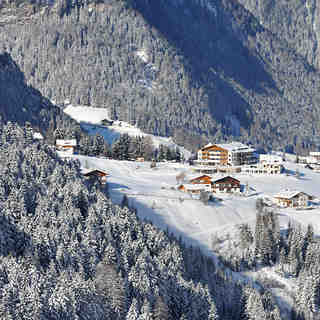 The most modern lift facilities and romantic alpine hut experiences. There are many surprises and offers waiting for you. The Mezdi chairlift (at Alpe di Siusi) will be replaced by a 6-seater chairlift, comfortable and fast, using the latest and most innovative technologies in the world. On Monte Pana, the CHARLY slope will be widened/improved and the snow-making system will be improved and strengthened. At Col Raiser, the connection between Seceda and Col Raiser, under the Gamsblut refuge, will be widened. All this to guarantee the maximum possible efficiency and to allow skiing, in the Val Gardena ski area, to reflect the highest standards of comfort, safety and performance. for you in order to enjoy a perfect vacation. Stayed in Santa Christina last week in January this year. Have skied in 8 resorts now including North Amaerica and have to say I was incredibly impressed with this one. 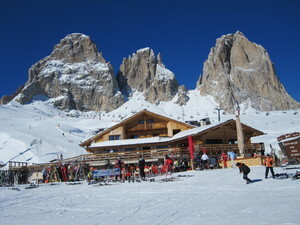 The slopes are perfectly groomed every morning, the on-piste restaurants/bars offer excellent foods at reasonable prices, the atmosphere is friendly and adult; not so many children around which I liked. The variety of slopes is incredible with plenty of fun parks/bordercross and in general just different things to do than just ski up and down! The sense of travel is second to none, we would often go to a different area for the day and then hit a few bars on the way back. Apres-ski in the snow bar every evening was stomping with a good mix between German and Anglophone music. Not much in Santa Christina besides the snow bar but a short free bus ride away (2km) Selva has a bit more going on with at least three decent bars with live music. Bit of a pain to get to/from Ireland but worth the 3 hour drive from Milan. I wouldn't recommend it for beginners (not many progression slopes and the slopes back to town are tricky in the evenings) but for intermediates and up it's a great place.